Home Tax So You Filed A Tax Extension: Now What? So You Filed A Tax Extension: Now What? A tax extension will give anyone an extra six months to file federal income taxes. However, once you file the extension paperwork, there are other things that you also need to think about. Because while the extension will give you extra time to file, it doesn’t give you extra time to pay if you actually owe taxes. Also, the extension only applies to your federal income taxes. If you need an extension on your state or local taxes, you need to apply for that separately. Essentially, what this means is that you can postpone turning in your tax paperwork until October and not have to worry about the usual five-percent penalty for each month that you are late in filing. However, if you owe taxes, you will still have to pay the one-half percent penalty for each month that you are late in paying. 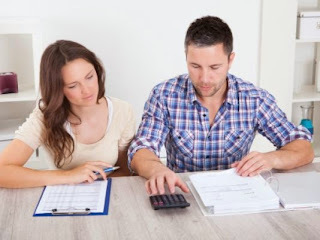 If you owe a relatively small amount, that one-half percent might not be a big deal; but if you owe a lot, that one-half percent can really add up if you need to take the full six months to file and pay. When you filed your extension, you had the option of estimating how much you owe and paying all or part of that estimated amount. If you didn’t make a payment then, and have the funds, you can still make a full or partial payment now, even if you aren’t ready to file. If you don’t have the funds, you can take steps to make arrangements with the IRS to either start a payment plan for your estimated taxes, or reach some other agreement. You can also use a service like TaxBuzz to get in touch with a tax CPA who can help you work with the IRS to reach a solution to your payment problem, and reduce some of your penalties and fees for late payment. When you filed your federal tax extension, you should also have filed an extension for your state. If you are self-employed, you might also have needed to file an extension for your local or municipal taxes. The process of filing for an extension at the state level varies by state and can sometimes be very difficult. The same goes for getting an extension at the local or municipal level. If you neglected to file for an extension at the state or local level, you could face hefty fines and penalties for filing and paying late. Some states also have deadlines, which means that if you have not filed an extension by April 15, you will no longer be eligible to do so. If you have forgotten to file a state or local extension, a qualified tax professional can help you determine what you need to do, and can do, next. In some cases, the tax professional might be able to negotiate with you to get an extension filed, even if you are past the deadline. In others, you might be able to get the fees and penalties reduced. The one thing that you need to remember is that the extension is just one piece of the puzzle, and it really only exists to buy you time to get all of your paperwork in order. It’s a great tool if you find yourself in a situation where you can’t complete your paperwork in time, but you can pay estimated taxes, or you have already paid estimated taxes for the quarter or year. However, if you are in a financial bind, the extension can only do so much. If you fall into the latter category, a professional CPA or similar tax professional is your best bet for getting on top of your taxes. The information and facts talked about within the write-up are a few of the very best out there. Well done!